GreenEarth Landscape Services doesn’t just install residential landscapes. Once the initial design and construction of your outdoor living space is complete, we’ll happily remain at your side through all four seasons to help you care for your landscape as long as you need us. We offer a full spectrum of residential lawn care and landscape maintenance services to suit every need — and every budget! Call on us after the first phase of your landscape is finished. Our residential lawn care and landscape maintenance crews will help your landscape age gracefully as it establishes and your plants start to fill in. 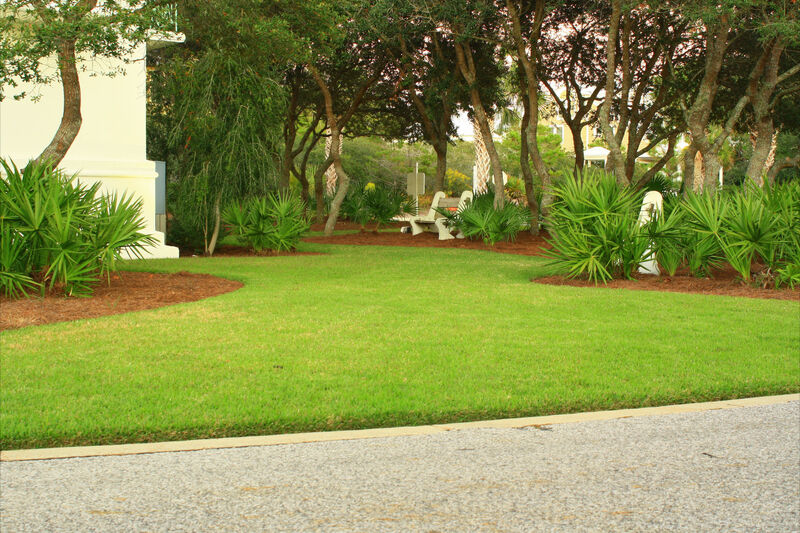 Whether your landscape needs constant care during the warm seasons — mowing, edging, pruning and more to keep everything in top shape — or you need a little extra help cleaning up and perfecting your space before an outdoor event or garden party, GreenEarth is your professional support system for residential landscape maintenance. Ready to discuss your residential landscape maintenance needs? You can reach our Panama City Beach office at(850) 236-1959 or our Santa Rosa Beach office at (850) 267-0010. Or, you can fill out our handy online form to schedule a free consultation. And be sure to download our handy Landscape Planning Guide to better understand how maintenance plays a roll in a healthy landscape.